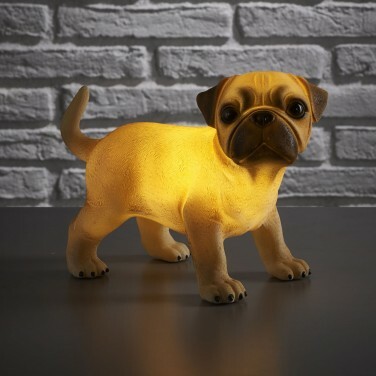 An adorable Pug puppy with an inner glow, this sweet light is ideal for use in kids rooms adding playful charm and a gentle light. Lit by LEDs the body of this cute pup lights up casting a subtle glow that won't disturb sleep but will emit just enough light to offer comfort and reassurance at night. USB or battery operated, place this puppy anywhere in your child's room for comfort at night. Comfort little ones at night with gentle light from this enchanting unicorn light.